The sport of gymnastics has been identified as a key activity for children in the development of lifelong physical literacy. 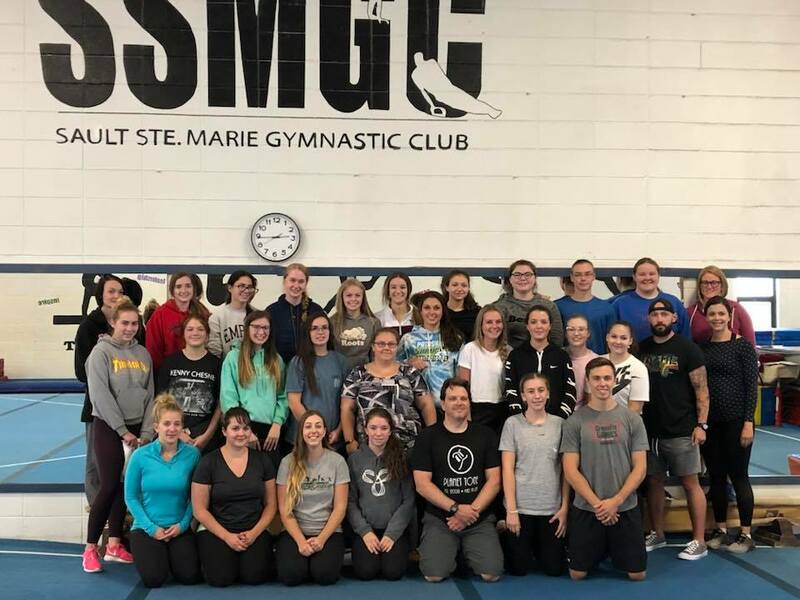 We strive to provide a fun, safe learning environment with qualified gymnastics coaches who will guide each individual in reaching their potential. We will achieve this by instituting equal opportunity to all gymnasts regardless of ability level, continuous professional development of our coaching team and promoting gymnastics as a lifelong activity and lifetime career. At the Sault Ste. Marie Gymnastics Club we believe in the benefits of exercise, challenge and working together. We strive to advance the joy of movement and to allow our athletes of all ages, backgrounds, levels and abilities to achieve their goals in a safe and healthy environment. Whether competitive or recreational we want our athletes to thrive in an environment that fosters friendship, inclusiveness, leadership and character development as much as fitness and competition. SSMGC is very pleased to have Mike Lemieux as a Consultant for our Competitive Program. He has over 45 years experience in the field of gymnastics and at one time served as the Head Coach here at SSMGC. Mike has coached throughout North America where he has helped to develop numerous provincial, state and national champions. As an athlete Mike competed for both Northern Michigan University and Kent State University. Mike was nominated varsity team captain by his teammates both at Northern and Kent. He was fortunate enough to have set a few conference and team records during his athletic career, of which a few still hold up to this day. We are very lucky to have him share is knowledge, skills and expertise with our athletes.